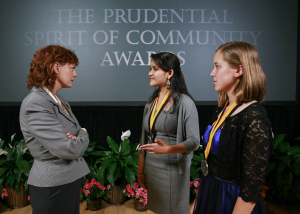 Prudential Spirit of Community Award and Presidential Award for Community Service - Manasvi is named North Carolina State Honoree 2011 for North Carolina. 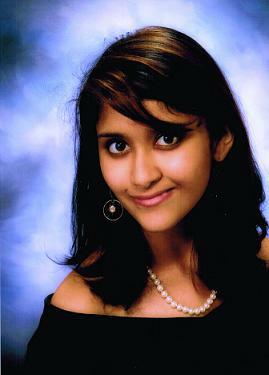 Manasvi is one of the top ten young people in USA to receive National recognition and a financial award in 2011. Click here for more media coverage. The Barron Prize was founded in 2001 by author T.A. Barron. It is named after his mother, Gloria Barron. The Prize is an annual award that celebrates outstanding young leaders ages 8-18 who have made a significant positive difference to people and the planet. Since its founding, the Barron Prize has won the support of the National Geographic Education Foundation, Girl Scouts of America, National Youth Leadership Council, and many other national organizations. The Senator sent Manasvi an appreciation video message in June 2010 on the eve of the documentary premiere. Since 2005, Senator Burr has supported and co-sponsored legislation that expands access to lifesaving therapies for patients who can be cured with bone marrow or cord blood transplants. Manasvi is very pleased to have Senator Burr's support. - Manasvi recieves Congressional Mention in April 2011 in a motion presented by Sue Myrick. met Manasvi personally and discussed LIVEbeyond with her. She also presented Manasvi a recognition letter on May 1, 2011. Wipe Out Kid's Cancer: Recognizes Manasvi's effort to help kid's with cancer and her work in Bone Marrow Awareness and presented an award and provided her with a laptop and printer to help continue her work. Educate, Motivate and Recruit is LIVEbeyond's Mantra!